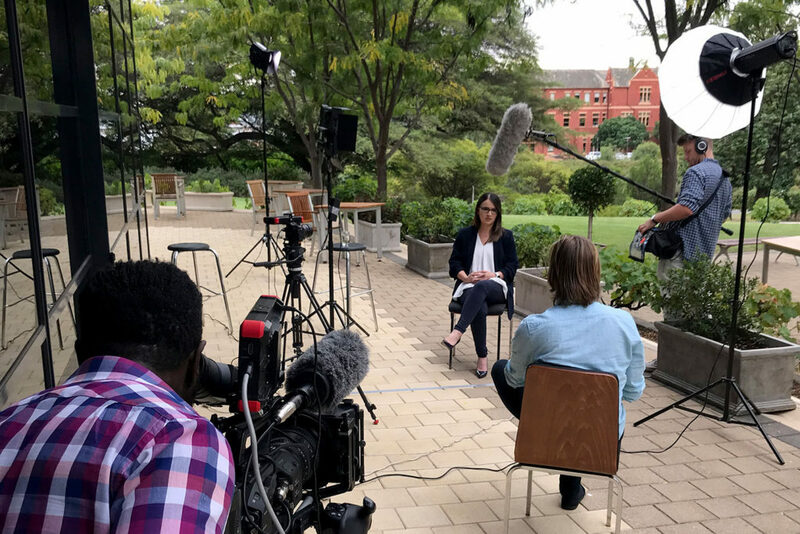 This week Digital Node took part in filming for an industry leaders TV documentary series with Annex Media to be aired on Foxtel in June. Annex Media provides a unique platform for successful industry leaders to share their stories and inspire others. Our very own leader, Rebecca De Cicco, was interviewed by the team and asked how the business began in 2013 and the successes she has achieved in the past six years. Rebecca explained: “I’ve worked within the construction industry throughout my entire career. From a very young age, I developed a passion for technology and how this is constantly evolving and impacting on our environment. My father was a great influence on me, and his impact allowed me to grow not only my passion for technology but also my passion for the built environment. “Many people shy away from change, but I embrace it; this is how we grow, in both knowledge and experience, and it always amazes me as to how rapidly change can take hold. Even in the past few years, technology has irreversibly changed the built environment through the use of advanced digital construction methods. Throughout the interview, Rebecca spoke of her role as a woman in a leadership position and how this has given her a voice to support other women in the AEC industry. She also discussed why she set up the Women in BIM group to encourage like-minded female professionals to network and progress their interested in BIM and digital constriction. The interview concluded with future plans for our business. As a business, we strive to stay ahead of the curve, we produce insight into industry developments, and we are a team of future-thinkers. We never stand still and always work harder to achieve the next level, whether that be personal development, business growth or enabling clients to learn new skills. We combine technology with innovation and that is what fuels our culture of continual learning for ourselves and our clients. The full interview will be released by Annex Media in June, we’ll let you know when it goes on air!